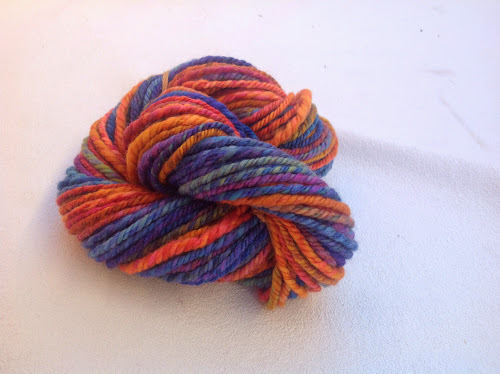 Last night I chain plied and washed the yarn. Today it dried in the sunshine. This shows the concentrations of colors the best. 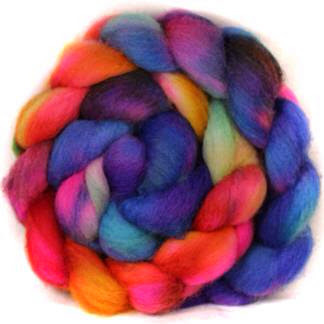 I spun across the braid with no stripping and I chain plied. I like the way this shows the colors. Not the best chain plying but definitely knit worthy yarn!